Plumbing Webmasters offers Pay Per Lead (PPL) services to plumbers throughout the United States of America. PPL plans allow contractors to pay only AFTER exclusive plumbing leads are generated, rather than paying a flat fee each month. The plan protects local plumbers from paying for services that have no positive impact on their bottom line. With traditional monthly plans, plumbing contractors pay for the process of generating results, rather than the results themselves. As many in the industry have had the misfortune of learning, the process does not always translate to results, and subsequently becomes a negative ROI. Call (877) 388-9884 to sign up for PPL today. Why Should Plumbers Use PPL? As for the downsides to using PPL? There aren’t any for companies just starting out. While some contractors still prefer a monthly payment plan, which we also offer, those are plumbers that have a consistent flow of leads coming in, and therefore have no reason to pay on a per lead basis. The PPL payment plan is really a perfect scenario for plumbers frustrated with the current marketing landscape. Many of them are on the brink of bankruptcy and this program can help them regain a profitable business. Call (877) 388-9884 for to start generating exclusive plumbing leads. For companies who’ve dealt with leads for years, they can tell the difference between high and low quality. Shared leads tend to be lower in quality, and are therefore more readily available to contractors online. Exclusive leads are typically higher in value, and therefore in higher demand. Plumbing Webmasters offers exclusive leads as part of our PPL services. 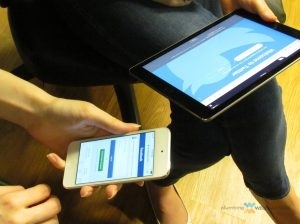 When signing up for PPL, lead exclusivity becomes part of your agreement. You won’t ever be presented with traditional shared leads, but only with one’s exclusively generated for your plumbing business. By performing these services, free of charge, we are betting on ourselves that they will effectively generate leads. If they fail to produce results, you (the client) incur no penalty. Instead, we lose money from conducting tasks like content marketing, PPC, SEO, and web design, while not generating any profit. Each of the concepts mentioned above are all-inclusive. What this means is; SEO includes on page and off site SEO, and web design includes mobile and desktop design, etc. We do everything possible to help your plumbing company succeed. What Counts as a Lead? 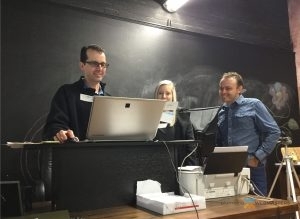 Our team of human lead screeners review each call and mark it as a lead or non-lead. They are instructed to consider the context of the caller’s request, and to only mark it as a lead when warranted. Clients who feel leads are improperly attributed to our work are provided access to our lead generation manager, who will consult with them and work towards a solution. Our goal is to only claim leads that we helped generate, and hold ourselves to the highest ethical standards. In your quest to buy plumbing leads, you are likely to come across some shady characters. Take a look around our website and decide whether or not you like what you see. You’ll likely notice that our pages are professionally designed, and contain high quality content that is written by talented, in-house writers. Everything that is applied to this site, is reciprocated on yours. We will write high quality pages that are well optimized, and market them via social media outlets, and other digital channels. The best part is, you only pay if it works, and you generate leads. Plumbing Webmasters is able to offer PPL services because of the confidence we have in our own services. We are betting on ourselves essentially. We’ve seen countless plumbers thrive under our marketing plans, and that’s why you can sign up today with no money down. 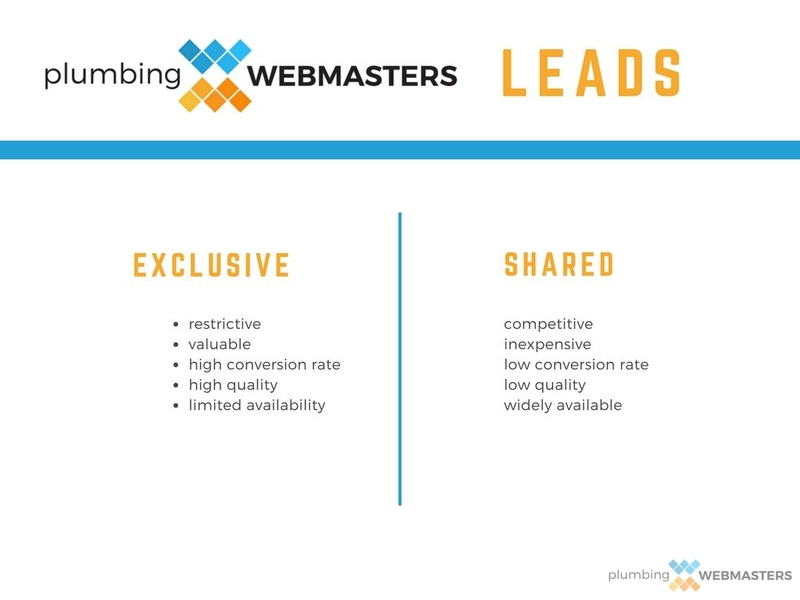 If you’re looking for affordable plumbing leads that are exclusive to your company, look no further than the professionals at Plumbing Webmasters. It’s time to prioritize results over process, and to stop being the one risking everything in your marketing endeavors. Call (877) 388-9884 to for exclusive plumbing leads. Updated on August 15, 2018 at 6:50 pm by Plumbing Webmasters.